Is Your Roofing System Environmentally Friendly? / Roofing / Is Your Roofing System Environmentally Friendly? When it comes to roofing, homeowners have been placing energy efficiency and sustainability at the top of their priorities in recent years. Our professionals have noted an increased awareness among our clients particularly in learning what types of materials and methods are more environmentally-friendly, often taking this information into account before making any decisions. To help you understand more about the green qualities of certain roofing types, our experts at Quality Assurance Roofing have listed down the most common roof materials and their corresponding prosphalt Sho other roofing material is as common as asphalt shingles. Unfortunately, these are also the least green of all the different types of roofing. Asphalt is produced from oil and petroleum products, and, as such, fail as a sustainable roofing system. In addition, their black bases offer poor heat reflectance, even after getting a light-colored overcoat. To address their shortcomings as a green roofing option, many manufacturers and roofing companies can recycle old asphalt roofing, somewhat alleviating their environmental impact. If we’re talking about lifespans, then recycled shingles are definitely a step higher from asphalt shingles. Lasting 50 years or more, these synthetic roofing materials are made from rubber, wood fiber and other additives that enhance durability. While they offer high levels of resistance to ultraviolet (UV) damage and fire, they are not easily recyclable themselves. Roofers require additional training and specialized techniques before they can be licensed to install metal roofing systems. This is the primary driving factor behind the relatively high prices of metal roofs. However, this material more than makes up for its lack of affordability with its inordinately long service life (longer than most other types) and reliable durability, sustainability, recyclability and energy efficiency. 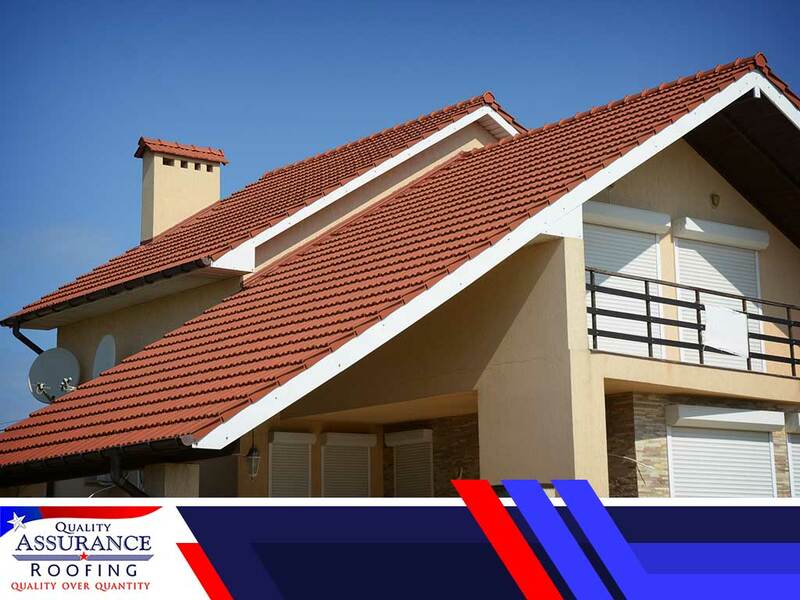 At Quality Assurance Roofing, we are your leading provider of professional roof repair, maintenance, restoration and installation services. Call us at (800) 928-7026. You may also fill out our online contact form to request a 100% free, no-obligation estimate today. Our services are available in Fayetteville, AR, and nearby areas. Copyright © 2019 Quality Assurance Roofing.